Abstract: Airwheel electric self-balancing scooter S3 closely follow the new eco-friendly notion. This electric-powered vehicle produces no emission without using fuel, bringing you the green lifestyle. In addition, fitted with the intelligent dual chip, S3 ensures a long range on a full charge. It frees you from the concerns about lacking of power halfway. Airwheel electric self-balancing scooter S3 closely follow the new eco-friendly notion. This electric-powered vehicle produces no emission without using fuel, bringing you the green lifestyle. In addition, fitted with the intelligent dual chip, S3 ensures a long range on a full charge. It frees you from the concerns about lacking of power halfway. Two model of S3, 520W and 580W, suffices to meet different demands of people. It takes 360 min and 470 min to recharge 520W S3 and 680W S3 respectively. These days, the environment is deteriorating. The environmentalists strongly appeal for the low-carbon lifestyle. Given that fact, S3 adopts the lithium battery core, a kind of green energy that produces no emission. Therefore, S3 has be quickly accepted and advocated by the environmentalists. Nowadays, S3 is widely used in some environmental sectors. In some large occasions, electric scooter S3 usually comes to people’s sights, for example sport meetings and trade fairs. S3 will be imaginably applied to more workplaces and activities in the future. Another feature of electric two-wheeled scooter S3 is compact size and slim bodywork. It weighs 22.4kg unimaginably. You could carry it at will. This feature is thanks to its material. It is made of macromolecular nanomaterial. It is not only light but also solid. S3 applies to excursion and work as a transport. Still, the most praiseworthy is agility of S3. As the number of cars soars, traffic jam is quite common. In such cases, S3 comes in handy. It is so agile as to weave through the cramped street and road without any effort. Steering S3, you will no more be late for work. Go away with the traffic jam. Admittedly, the traditional transports yield to S3 unwittingly. An era of S3 is coming up to us. Bring your S3 and go for a trip without hesitation. 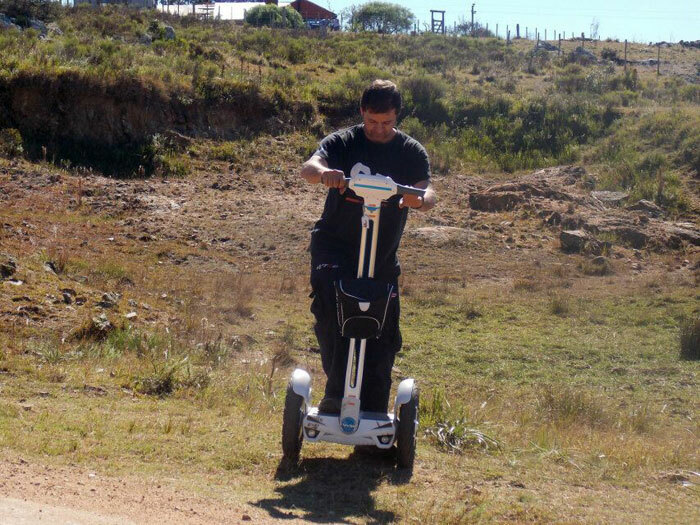 Previous：Monociclo elétrico Airwheel representar seu mestre de alta tecnologia. 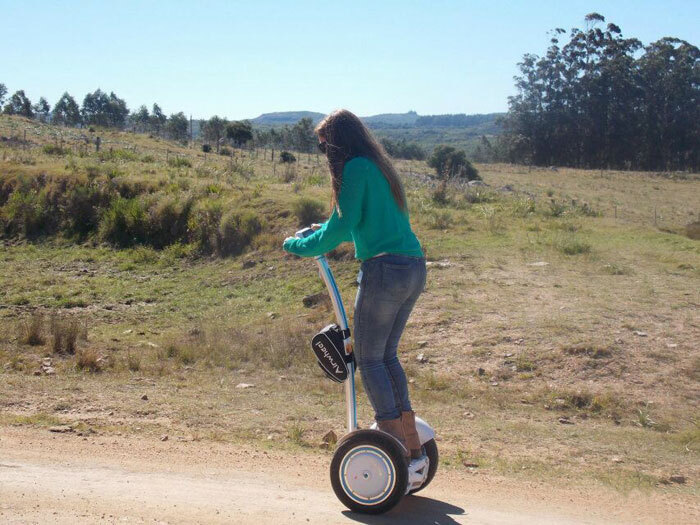 Next：Airwheel elétrico 2 rodas Scooter supera o tráfego faculta.